WASHINGTON — The Army is expected to make a decision by the end of the year on which companies will build prototype vehicles as part of its light tank competition. The requirement for a Mobile Protected Firepower vehicle to provide infantry brigade combat teams a protected, long-range, cyber-resilient, precision, direct-fire capability for early or forcible entry operations was first laid out in the Army’s combat vehicle modernization strategy released in October 2015. The Army is looking to rapidly procure this capability by turning to commercial off-the-shelf technology rather than spend years developing it. Several competitors submitted offerings to the competition in late February in the hopes that they are selected to build 12 prototypes that will be demonstrated and evaluated — and that will ultimately lead to the service selecting a winner to go into production. The low-rate initial production plans are for roughly 54 vehicles — 26 to start, with an option to build 28 more, as well as retrofitting eight of the prototype vehicles. The first unit equipped is planned for 2025. If selected, the contractors have 14 months to deliver MPF prototypes to the Army. A final request for proposals will likely come out in late October or November, and the service will make a decision shortly thereafter. 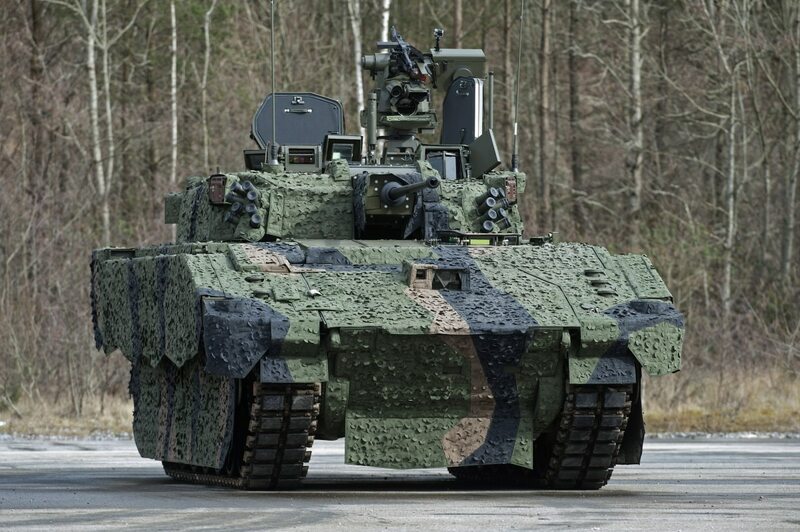 SAIC partnered with Singapore’s ST Kinetics and Belgium-based CMI Defense; BAE Systems and General Dynamics Land Systems all submitted written proposals, vehicles and armor coupons for testing. 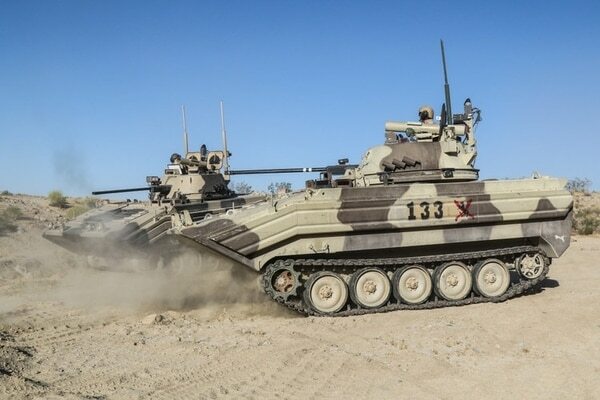 The SAIC team integrated CMI’s Cockeril 3105 turret on an ST Kinetics next-generation armored fighting vehicle chassis as its offering. BAE Systems is offering an M8 Buford Armored Gun System with new capabilities and modernized components. GD submitted an offering that combines a version of its latest Abrams turret with a chassis that leverages experience from the United Kingdom’s AJAX program. “We have additional new and proven technologies to meet MPF specific requirements,” a GD spokesperson said. The Army has already moved through its testing and evaluation ahead of a decision later this year. Vehicle bid samples were tested to evaluate mobility and firepower performance, and the armor coupons were tested to evaluate protection performance. According to Jim Scanlon, senior vice president and general manager of SAIC’s defense systems group, the company did both pre-validation and follow-on testing of its vehicle offering before and after the Army’s own evaluation period. The company has brought the vehicle to the Association of the United States Army’s annual conference. If selected, SAIC plans to perform final integration work in its Charleston, South Carolina, facility, with the other companies in the team building their contributions in their own facilities. However, Scanlon said, the company is working to come up with ways to do more and more of the production work in the United States, and both companies involved are on board and see moving some work into the country as a necessary investment as big combat vehicle programs gain traction. All options are being considered, Scanlon said. BAE plans to build its EMD prototypes within its manufacturing network including York, Pennsylvania, Aiken, South Carolina, Anniston, Alabama and Sterling Heights, Michigan, according to the company’s MPF capture lead Greg Mole. GD said it would not release build locations for the vehicles at this time. The MPF program now falls under the Army’s Next-Generation Combat Vehicle cross-functional team’s purview, which lies under the new Army Futures Command, charged with modernizing the force more rapidly to maintain overmatch against peer adversaries.